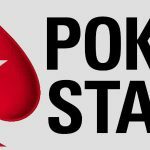 Party Poker is boosting the guarantee on its $11.00 buy-in Bounty Hunter PKO event this coming Sunday (November 11th) to an impressive $100,000. Don´t miss it! Once a month, Party Poker boosts the guarantee on a selected Power Series tournament to give players a little extra incentive to get involved. The selected tournament for this month takes place on Sunday at 4:00pm (GMT), when the site´s $11.00 buy-in Bounty Hunter Progressive Knockout (PKO) tournament will carry a $100,000 guarantee. 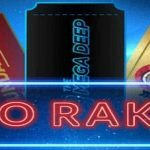 Due to changes earlier this year in how buy-ins are distributed in Party Poker´s PKO tournaments, $5.00 of the buy-in will go towards the regular prize pool and $5.50 will go towards the knockout element of the tournament – the other $0.50 being the fee to enter the event. This means Party Poker will need to attract 9,524 entries to cover the guarantee. In the event that fewer players enter the tournament, the overlay is added to the regular prize pool. So, if the tournament was to attract 6,000 entries, there would be $33,000 up for grabs for knocking out other players, and $67,000 available for players who cash in the event. With a strong likelihood of there being an overlay, this could well be an event worth playing in. Although the tournament kicks off at 4:00pm (GMT), there is 2½ hours of late registration (26 levels of 5 minutes plus breaks) – during which time two re-entries are allowed for players who have been knocked out. Players begin with a starting stack of 100,000 chips and blinds of 500/1,000 (ante 80), which increase slowly throughout the event. By the end of late registration, the blinds are only 2,300/4,600 (ante 495); which means the starting stack for players who leave it to the last minute to enter is the equivalent of more than 21 Big Blinds. 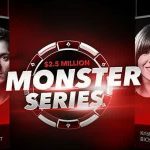 Based on a similar event played recently during Party Poker´s Monster Series, the tournament should take between ten and eleven hours to complete – so be prepared for a long night! If you enjoy playing Progressive Knockout tournaments, you will be delighted to hear that a whole series of PKO events is on its way. Party Poker has just announced KO Series V3 will take place between 18th and 25th November with the same $10 million series guarantee as before – although there will be slightly fewer events in the schedule than previously. Sit & Go Jackpot games in which you can not only win tickets to KO Series events, but which will double your payout if you reach the Final Table of the KO tournament. The opportunity to win five times the buy-in of a KO Series event if you knockout a sponsored Party Poker pro during the tournament. Sit & Go Jackpot Missions which will enable you to win a tournament entry ticket to a KO Series event by knocking out other players in the Sit & go game. A KO Series Card Rush leaderboard promotion in which you will be able to win cash prizes by playing in FastForward and regular cash games. 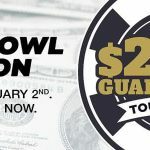 In addition to the Special Edition PKO Event this coming Sunday and the $10 million guaranteed KO series in a couple of weeks, Party Poker hosts a massive selection of Progressive Knockout tournaments throughout the week. The major attraction of these events is the progressive element of the bounty on each player´s head can be worth more than the first place prize money by the end of each tournament – giving those who perform well in them a considerable boost to their bankrolls. If you feel you are a sufficiently aggressive player to cash in on the nature of progressive knockout tournaments – and you do not yet have an account with the site – read our Party Poker review to see how you could benefit from a first deposit bonus of up to $500/€325/£250. If you decide to take advantage of this opportunity, be sure to use the Party Poker bonus code “PNREPORT” when creating your account to be eligible for starter missions that can add extra value to your online action.